Bitter~Sweet ™: Welcome to May!! So the month of May is here already. It means flowers and warmer weather and nightfall happening a little bit later each day. And in my world, it means Diabetes Blog Week. But for now, some new things are in place. 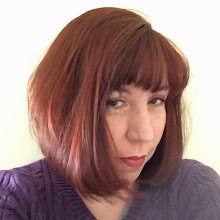 First of all, Diabetes Blog Week will run Monday, May 16th - Friday, May 20th this year. Almost 60% of you indicated that five days of blogging would work better for you than seven days. I completely understand that! Those of you who still want to blog a full seven days of posts can use the two wildcards as your weekend prompts. In this way, I hope I’ve found a solution that works for everyone. Another popular suggestion was to have more advanced notice of what the topics for the week will be. With that in mind, I’ve published the topic list here - a week earlier than I normally release them. I hope that’s helpful to those who want to get a jump on things. 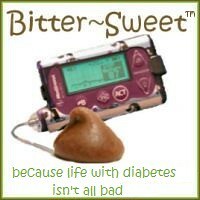 It was also suggested that a Facebook page for Diabetes Blog Week would be helpful. That’s a fantastic idea, and I’ve created it here! All important information will be added when available. Also, during DBlogWeek, each day's topic will be posted on the page. I’m still working my way through the rest of the suggestions - I’ll be using as many as I can. And stay tuned next Monday, when I’ll be posting more information and this year’s sign up form! Woo who it's on !!!! Seventh Annual Diabetes Blog Week!! !